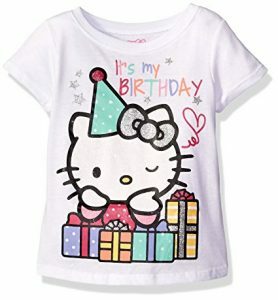 If your little one has a birthday coming up how fun would this adorable Hello Kitty Little Girls’ Toddler Happy Birthday T-Shirt, Bright White, 2T for only $3.02. There are several styles and sizes to choose from and the prices are great! This is part of Amazon’s Add-On Program and will ship free with a qualifying purchase.